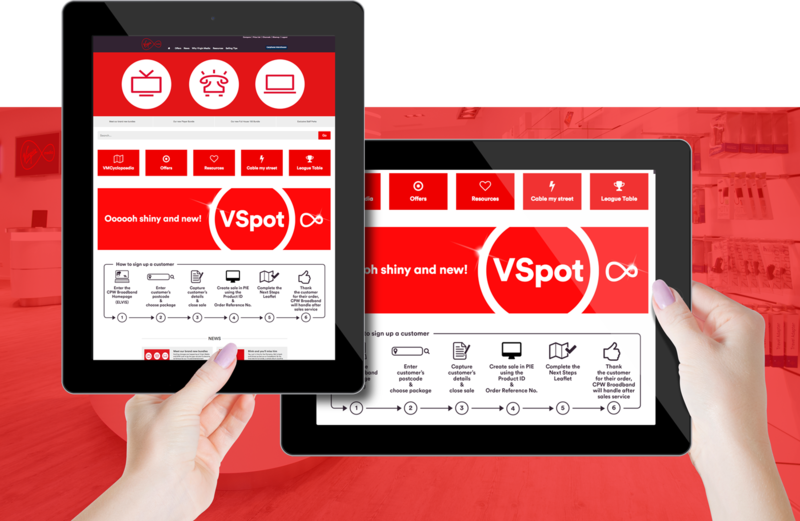 The VSpot is an instore information portal created by on-IDLE for Virgin Media. I was get involved in the production of this Infographic, which provides an overview of the 'how to sign up a customer' process for sales agents in mobile retail stores. 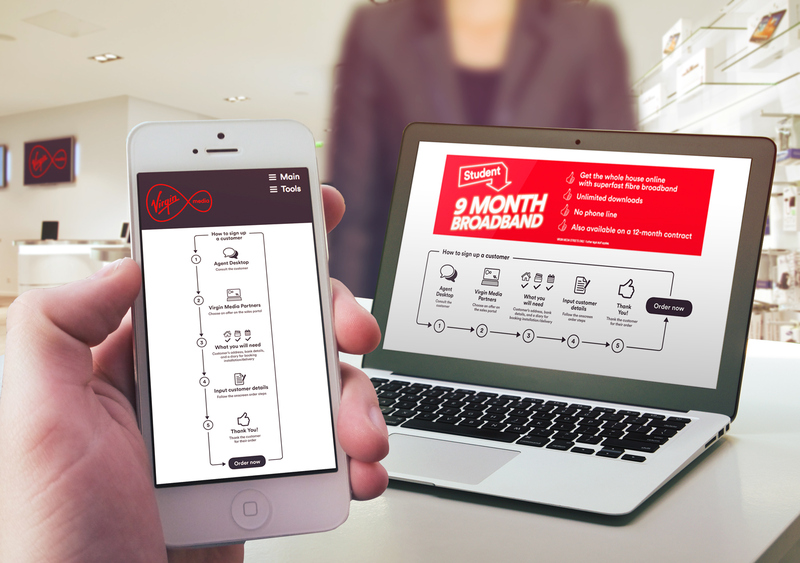 It is used in Carphone Warehouse, Curry's PC World and many others to access information about Virgin Media products and directly place orders on behalf of customers.